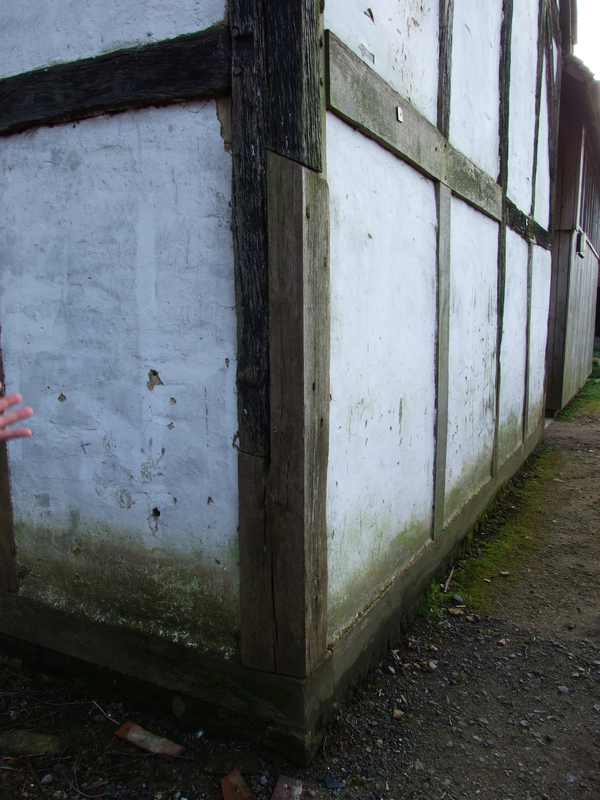 The AA Building Conservation first year group recently visited the Weald and Downland Open Air Museum in Sussex. 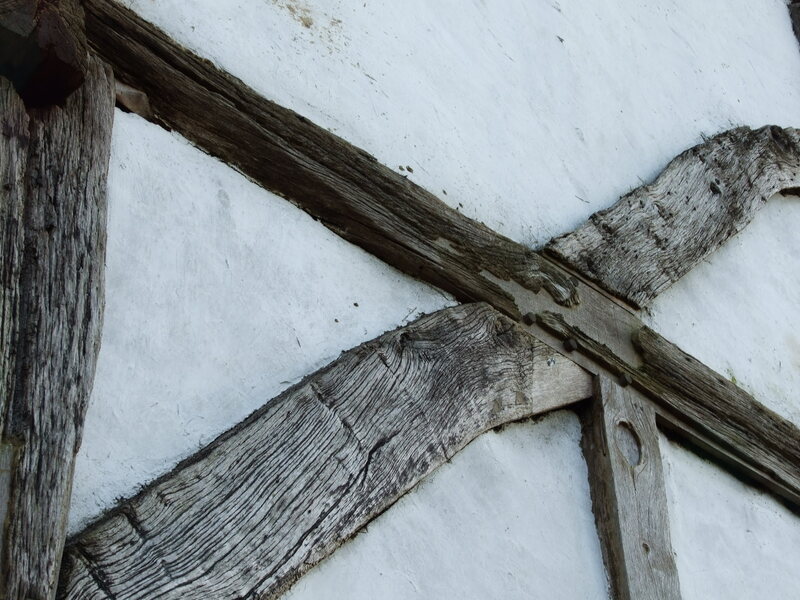 The museum has a collection of mediaeval timber framed buildings from across the south of England. Richard Harris, an expert on medieval timber framed buildings, showed us how the museum’s approach to repairing the buildings has changed. Earlier on in the museum’s history a carpentry-focused repair was favoured. It sees complete loss of the original section of timber. Early-on a resin repair system was trialled. 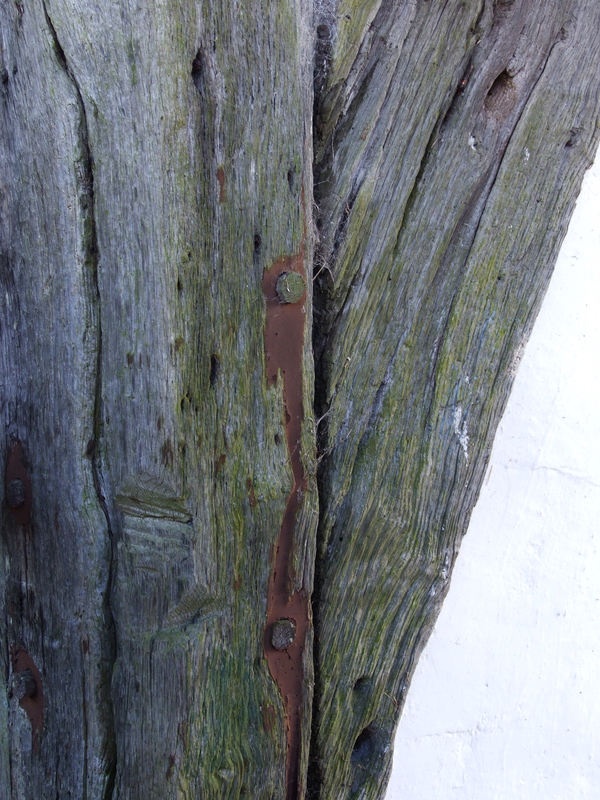 The early resin repair accentuated the timber surface and brought about the idea of the “postman patch” repair, whereby the centre of the decayed timber is removed and the surface is adhered to the new repair.